Please have any medical history you have of your pet ready when we come to visit you. It's best to keep a journal of your pet's health throughout his or her life, including behavioral shifts. If you have something like this, share it with us. If not, let us know everything that you think will be important. Our doctors can still work with whatever information you have. All routine small animal procedures (vaccinations, microchipping, and small biopsies among other things) can be done while on house call service or at our hospital in Rock Hill, NY.  The philosophy of Catskill Veterinary Services is to provide high quality medical and surgical services for our patients and excellent customer service for our clients. We strive to provide this service as economically as possible, without sacrificing quality or the ability to provide up to date care for our patients. It is the philosophy of this practice to maintain a good business practices, a sound professionalism in our manner with clients, and the highest standards in veterinary medicine. To deliver services and the best quality care with commitment at a fair price. To provide a professional and growth-motivated environment for our team which will, in turn, promote teamwork and communication among our team. To encourage our team to serve the community by participating in civic affairs and by providing veterinary services.